As we look ahead to what’s in store for real estate professionals in 2014, Homes.com has compiled a list of 14 marketing tactics to grow your real estate business in the New Year. Part one will examine mobile marketing, with local and social marketing trends following in the weeks ahead. Mobile Internet usage is projected to overtake desktop Internet usage this year and one half of all local searches are performed on mobile devices (Microsoft Tag). As we enter 2014, real estate professionals should take note of the growing use of mobile devices to their advantage by targeting these on-the-go consumers. 1. Establish a strong local presence. Ninety-four percent of smartphone owners look for local information on their phone (Vocus, 2013). Mobile devices use geo-targeting to provide users with the most accurate hyper-localized information and the highest rated search results on local businesses. Consumers are more likely to visit those listings at the top of search results on the first page as those businesses are the ones with the best client reviews and ratings. To achieve this placement, real estate pros should build their reputation and establish themselves as a local expert by collecting and showcasing client endorsements on your website, blog and social channels to reinforce your credibility and local presence. Also, invest in paid mobile advertisements and mention a location in mobile ads to increase click through rates by 200 percent (Hubspot). By providing a specific location, the algorithms used by search engines pick up your advertisements during relevant local searches. Learn more about how easy it is to gain this type of exposure with Mobile Local Ads from Homes.com. 2. Optimize your email campaigns. According to Return Path, 88 percent of people check their email via mobile on a daily basis than those who do on their desktop computer. When writing for a mobile audience, make sure your email campaigns are short with details and photos for the latest properties and perhaps updates on happenings in the local area, with links to your social channels and website. Don’t go overboard though; an email once every two weeks or so to keep your name on people’s minds is plenty. Just be sure to format emails in a mobile-friendly fashion. For more email marketing tips and tricks, take a look at our how-to video. 3. Convert content for mobile viewing. Having a mobile friendly website is critical to your mobile marketing strategy. Sixty percent of mobile users expect a website to load in less than three seconds (Marketingland.com) and want information quickly, with little to no effort. If your website is not optimized for mobile viewing, you’re losing traffic. Real estate pros are turning to the latest in web technology, called responsive web design to support their websites. In short, responsive design is an advanced technology which intuitively converts web content to accommodate a user’s respective device whether it be via mobile, tablet or desktop. Gain a competitive edge and upgrade your web presence to convert on-the-go consumers to clients with a mobile friendly web site from Homes.com Studio. 4. Invest time and effort into social media. Industry experts reveal that 91 percent of consumers use their mobile devices to access social media (Hubspot). Today’s consumer relies heavily on online reviews and word of mouth recommendations for all purchase decisions, and that includes finding someone to help them buy or sell a home. Here again, posting client endorsements on your sites to support the trust your clients have in you is critical. Also, use photos and videos to your advantage, drawing people into the properties you are representing. It’s also important to remember that each social network has a different purpose and different mobile integrations, so knowing how to implement a separate strategy for each one is the key to social media success. Seventy-six percent of Facebook users login daily and spend an average of 8.3 hours a month sharing content with friends and family. Get in front of these active users with Facebook’s paid advertisements to target users in your local area that are searching for keywords relevant to your business such as; “houses for sale” or “local real estate pros.” Use promoted tweets to connect with users on Twitter. Whatever platforms you decide to use, do a little digging and make sure that you know the advantages and best practices for each. As the old adage goes, “there’s an app for that.” Real estate pros are just as much on the go as the buyers and sellers they’re trying to target, so it’s critical to streamline your own operations to work more efficiently with cutting edge mobile apps. Read on here to discover several must-have apps that help real estate pros work more effectively and enhance your clients’ experiences. Homes.com’s mobile apps are great resources to share with your clients to calculate a mortgage payment or search for properties to rent or buy right from their mobile device. A savvy real estate professional needs to have a strong mobile presence to prosper. This includes a mobile-friendly email campaigns and website complete with property listings, mobile photo galleries, tap-to-call and tap-to-map capabilities. 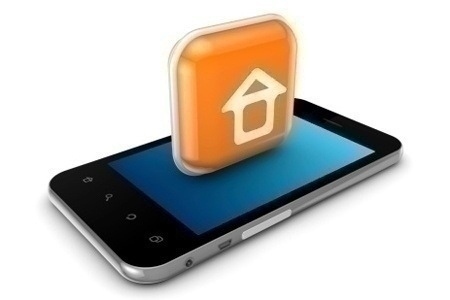 If you’re a real estate pro who is not using all that mobile has to offer, you’re quickly falling behind in the game. So this year, make it your goal to target local buyers and sellers in your market on both desktop and mobile, by branding yourself through mobile local ads and upgrading your website to accommodate consumers devices with responsive web design products like Homes.com Studio.